EURO | PHONIA is a curatorial project, documenting and highlighting the voices and images of the 2016 referendum. 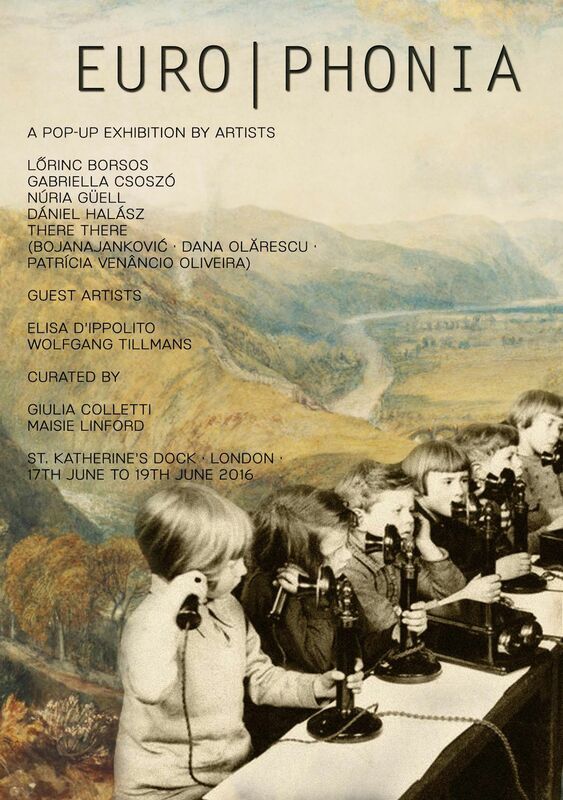 EUROPHONIA is an Italian/British project, curated by Giulia Coletti and Maisie Linford. The aim is to document and highlight the images that have shaped the 2016 EU Referendum, facilitate debate and provoke discussions. Our artists, from Eastern and Southern European backgrounds offer a challenging and distinct perspective, to re-frame the campaign and shift focus from dominant personalities to a neutral space. Voters will be in a position to recognise the artifice of official campaign materials aesthetic and be better equipped to interpret these, casting a rehearsal vote and considering the implications of their decision on 23rd June. The choice of the iconic red telephone box, was led by its status in British visual culture and it’s history facilitating conversations as a public/private space. We want to use it to help voters recognise their own viewpoint is worth more than independent conversations. 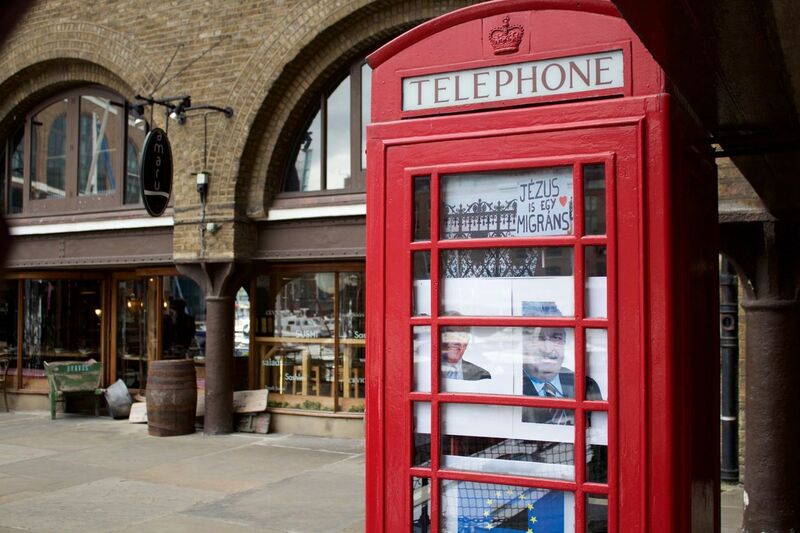 The phone box is the perfect size for a mock voting booth and visitors will be invited to enter one at a time. Voters will have the opportunity to respond to the work, submitting postcards to ballot box. Even if they are not eligible to vote in the real referendum, if they are in London between 17th - 19th June they will be able to cast a vote. The postcard gives greater space to share and spread thoughts than the restrictive X next to a predetermined response. Following the exhibition we will share the postcards digitally and to any addressee’s written on; be they the different campaigns, European Parliament or relatives living in Europe.